Jay Bryan lives in Orange County, North Carolina, with his wife, horses, guineas, dogs, a cat, and a cockatiel. 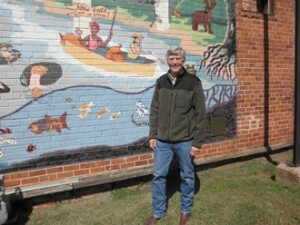 He served as poet laureate of Carrboro from 2010 to 2013. With the Carrboro Arts Committee, he helped to establish the Carrboro Poets Council, on which he currently serves. For 15 years he coordinated poetry readings on Carrboro Day for the town’s celebration of its residents and their gifts. He compiled and edited the Carrboro 100th Birthday Poetry Anthology (2011). His chapbook Selected Poems was published in June 2013 by Finishing Line Press. Other poems have been published in Blink, they wrote us a poem VII and VIII (Health Arts Network at Duke), Ecozoic Reader, Legal Studies Forum, Haibun Today, Cowboy Poetry, and Stone House, an anthology of haiku from Bolin Brook Farm.